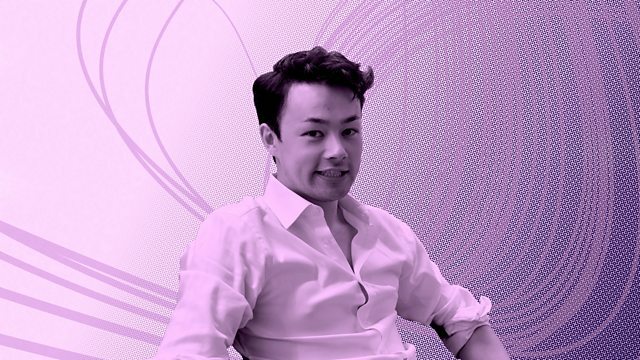 Guitarist Sean Shibe opens up a colourful selection of classical music from the inside - revealing familiar and unfamiliar works in a new light. Guitarist Sean Shibe describes how Respighi creates the vastness of underground catacombs in sound, explores the appeal of Stokowski's dramatic treatment of JS Bach, and discovers how violinist Andrew Manze conjures up the joy of human existence in a piece by Vivaldi. At 2 o'clock Sean reveals his Must Listen piece - a seductive, but seldom played 20th century work, with, according to Sean, 'glacial textures like levitating sheets of glass'. Composer: Hector Berlioz. Performer: David Rumsey. Orchestra: London Symphony Orchestra. Conductor: Colin Davies. Choir: Tenebrae. Conductor: Nigel Short. Performer: Rolf Lislevand. Performer: Béatrice Pornon. Performer: Guido Morini. Performer: Pedro Estevan. Performer: Michèle Claude. Performer: Katharina Dustman. Ensemble: Ensemble Kapsberger. Performer: Andrew Manze. Ensemble: Academy of Ancient Music. Director: Andrew Manze. Singer: Giuseppe Giacomini. Orchestra: Sinfonia Perusina. Conductor: Guida Maria Guida. Performer: Julian Bream. Orchestra: City of Birmingham Symphony Orchestra. Conductor: Sir Simon Rattle. Lyricist: Gaspar Gomez. Ensemble: Euskal Barrokensemble. Director: Enrike Solinís. Music Arranger: Leopold Stokowski. Orchestra: Czech Philharmonic. Conductor: Leopold Stokowski. Music Arranger: Christina Pluhar. Singer: Núria Rial. Singer: Philippe Jaroussky. Ensemble: L’Arpeggiata. Director: Christina Pluhar. Performer: Sean Shibe. Music Arranger: George Duffy. Performer: Gareth Davies. Orchestra: London Symphony Orchestra. Conductor: Sir John Eliot Gardiner.